Research Roundup: Curing cancer in the endangered Tasmanian devil, using mosquito saliva to reduce blood clots and more! Fat absorption regulated by bacteria in small intestine. A team of researchers at the University of Chicago has determined that specific bacteria are responsible for fat absorption. Such findings could potentially combat obesity and malabsorption disorders. The study fed a high-fat diet to germ-free mice, with no gut bacteria and found they were not absorbing fat. They then fed the same diet to “specific pathogen free” mice, with only clean bacteria, and identified that bacteria from the Clostridiaceae and Peptostreptococcaceae families became abundant. Thus, these bacteria may directly regulate fat absorption. This is just a first study, future studies will investigate how calorie-dense foods might attract bacteria related to fat absorption. Published in Cell Host and Microbe. Curing cancer in the endangered Tasmanian devil. Cancer is a major threat for Tasmanian devils with more than 80% of the population being wiped out since it emerged 20 years ago. New research has identified that a receptor molecule, RTK, has a major role in the development of cancers, and can be effectively eliminated via human cancer drugs. In Tasmanian cell cultures, the drug was shown to be effective. Lead author, Elizabeth Murchinson stated, “this study gives us optimism that anti-cancer drugs that are already in use in humans may offer a chance to assist with conservation efforts for this iconic animal.” Published in Cancer Cell. Using mosquito salvia to thin blood clots. Strokes are a major health cost burden, affecting approximately 7 million individuals in the US alone. Ischemic strokes account for 87% of all stroke cases and are associated with the formation of blood clots. Researchers, using mosquito saliva and sulfate, have found in mice that this chemical mix was 100 times more effective in thinning blood, and therefore significantly reducing the risk of clotting, than mosquito saliva alone. They also found that it was more effective that hirudin, a blood thinning compound derived from the saliva of leeches. Published in ACS Central Science. Brain activity of bats can be recorded while flying. Scientists and engineers at John Hopkins have developed a small device that mounts to the head of a bat to record its brain activity while flying through an obstacle course. This allows scientists to measure attention shifts, which may be related to attention-deficit/hyperactivity disorder. 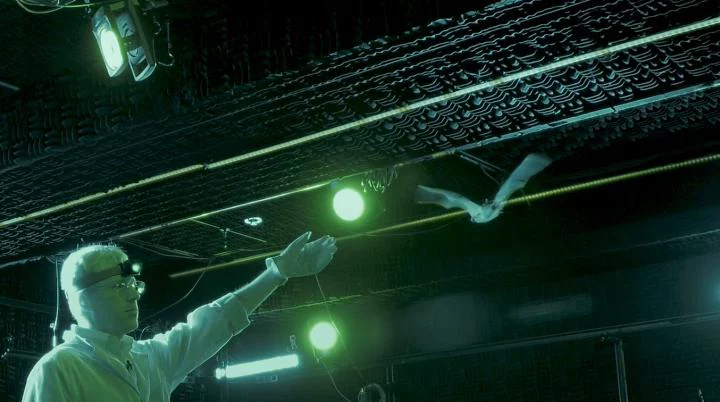 The team specifically allows big brown bats (Eptesicus fuscus) to fly around a specially designed “flight room”, while the new device records brain activity, high-speed cameras track the bat’s position in three-dimensional space, and microphones record high-frequency vocalizations the bat uses for echolocation. These recordings are then synced to understand the bat’s behavior and shifts in attention. Published in eLife. How birds “see” the Earth’s magnetic field. The earth is surrounded by a geomagnetic field, and we have long known that birds can sense and use it to navigate. This ability is called magnetoreception — yet how birds are able to do it remained a mystery — until now. In two separate studies, in two different bird species, researchers have found that a protein called Cry4 is necessary for this ability. This protein is only found in vertebrates with this “magnetic compass” and in the two studies reported here, is overexpressed in the eyes of the animals. Published in Current Biology and Royal Society Interface. Posted on April 13, 2018 by EditorPosted in News, Research RoundupTagged echolocation, facial cancer, magnetoreception, obesity, stroke, Tasmanian devil, thrombosis.